Come join the fun and visit VMworld 2015! Home > All other vStuff > Come join the fun and visit VMworld 2015! Come join the fun and visit VMworld 2015. 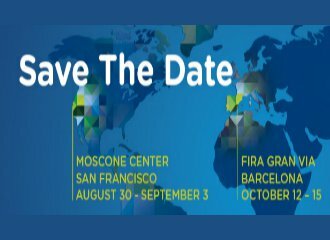 The #1 Cloud and Virtualization Technology worldwide event will be held at US, San Francisco from August 30 – September 3, 2015 and Europe, Barcelona from October 12-15, 2015. VMworld is four full days of innovation to make you successful with Virtualization, the Cloud and all of VMware’s products and services enriched with an tremendous Eco system of technology partners. It starts with inspiring General Sessions, and goes deeper with Breakout Sessions, Group Discussions and Quick Talks. Meet the experts you are exchanging your thoughts with on twitter, facebook and several blogs. This will be four full days of learning—best practices, training, new innovations—all on virtualization and the cloud. 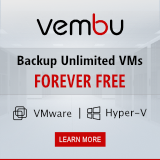 It’s truly the best way to ensure that you are getting the most from your VMware investment and should result in immediate ROI. Hands-on training and experience. You will be able to choose from 350+ technical and content-rich sessions covering the latest innovations in the data center for storage, networking, security, management, workforce mobility, and hybrid cloud services. Product research and analysis. In the Solutions Exchange, You will be able to review the latest competitive solutions side-by-side with more than 275+ exhibitors. Networking with industry experts. You will learn strategies for achieving top IT priorities and be able to compare notes with other IT professionals. You can leverage these contacts for advice and best practices for years to come. And maybe you will even run into one of the VMGuru crew members! VMworld attendees are a mix of IT technical professionals and IT business decision-makers from organizations of all sizes, representing a wide range of industries worldwide. The US registration opens on May 5, 2015 and the Europe registration is scheduled to open up on June 9, 2015! US and Europe Content Catalog is scheduled for June 23, 2015. You can now pre-register here to stay up to date.